XXXHOLiC Rei #4 debuted at the 7th position in Oricon’s weekly comic ranking, with 103.919 copies sold on its first week of sales. 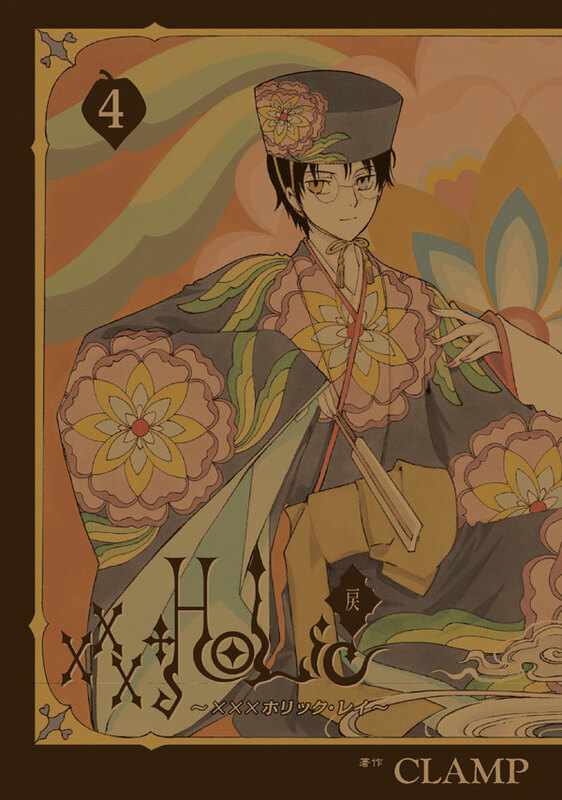 This is the worst first week performance for a XXXHOLiC volume ever since I started taking record of sales (volume 13). On the other hand, XXXHOLiC Rei #4 was Kodansha‘s best selling title of that week. That needs to be acknowledged. These numbers are only for the regular edition. Numbers for the Blu-Ray limited edition are unknown but they are probably lower than 15.765, which is how much the last position sold in that week. For comparison’s sake, the first three volumes of XXXHOLiC Rei sold 183.837, 155.848 and 154.586 copies on their first week of sales, respectively. Are you ready for when CCS Clear Card Arc Vol. 1 smashes the charts, Chibiyuuto? YES! My body is ready xD I expecting nothing less than 1st place! does anybody know if in the volume is contained the special chapter collaboration with Suga Shikao too? I am not sure about that. My copy is still on its way, but I don’t think so! so, did you receive the manga? it’s a real pity actually. Speaking of special chapters, did that ccs special chapter with a little Sakura and touya come out yet? with holic position 7th, that’s not bad considering how slow the whole arc was. ^^ and of course 1st place for ccs. Goes without saying!! The short story of Sakura and Touya is actually a reprint of the short story printed in the first CCS artbook. It came with the 20th Anniversary Memorial Box. Not a new comic, though, it’s a reprint. Oh I see! I had no idea, Ive never seen it before. Damn it! I wana read it now. The first art book you say? I’ll invest in one I think. Do u know if the art books are in English by any chance? Or was it just exclusive to Japan? Ah damn, the link for TouyaxSakura works, but not the SxS one, such bad luck! Lol at baby Sakuras feverish meowing. 😸 and little touya reminds me of ccs syaoran somewhat. this is really random! saw this music video and its so much like holic. its by years and years, and the song is called King. its just like seeing watanuki in a music video!! its like when he’s being chased by the spirits in the middle of a main street, and no one else can see. im not sure if the link will work.. but ill try posting it. random i know… but i had to say something about it! i had a omg thats totally like this manga kind of moment. It does resembles early XXXHOLiC, except the spirits are way less grotesque haha The song is kinda nice too! Lol yeah definitely prettier. Artistic representation! The director of this video probably read holic back then and got inspired. ^^ now we need a yuuko -esque video. yeah I like his songs, and the music videos he does are great too. How many chapters compiled in this volume?